At the last European Football Championships, in 2012, England reached the quarter-ﬁnals before losing on penalties to Italy. Back then, manager Roy Hodgson had enjoyed only a few weeks in which to prepare his players. This time round, he has had a full four years and expectations will be very different, particularly after the manner in which England qualiﬁed for France. The history of the English game and the worldwide popularity of the Premier League are out of all proportion to the national team's achievements in terms of titles won over the years. They have only won the FIFA World Cup once, 50 years ago - and have never reached the ﬁnal of the European Championships. The nearest the Three Lions came was in 1968 when they came third. They also reached the semi-ﬁnals as hosts in 1996. The story in recent years, in all major tournaments, has been the same: England have qualiﬁed in decisive fashion for the ﬁnals, but have then fallen below both their own hopes and their fans' expectations. Foreign admirers of the Premier League often pose the same question of surprise about the tournament travails of the national team, until they understand that English fans are thrilled every week by a higher percentage of foreign imports than in any other major league. Only recently has the Football Association acted to create more openings for young English talent. Results are not expected overnight but, in the meantime, England manager Roy Hodgson has found an emerging new generation of players to redevelop a team that disappointed at the 2014 FIFA World Cup. England were eliminated after only two games within little more than a week. Brazil saw the international farewells of long-serving stalwarts such as midﬁelders Steven Gerrard and Frank Lampard. However, plenty of experience survived into the Euro 2016 qualifying competition. in the shape of Goalkeeper Joe Hart, central defender Gary Cahill midﬁelder James Milner and top scoring new national captain Wayne Rooney. 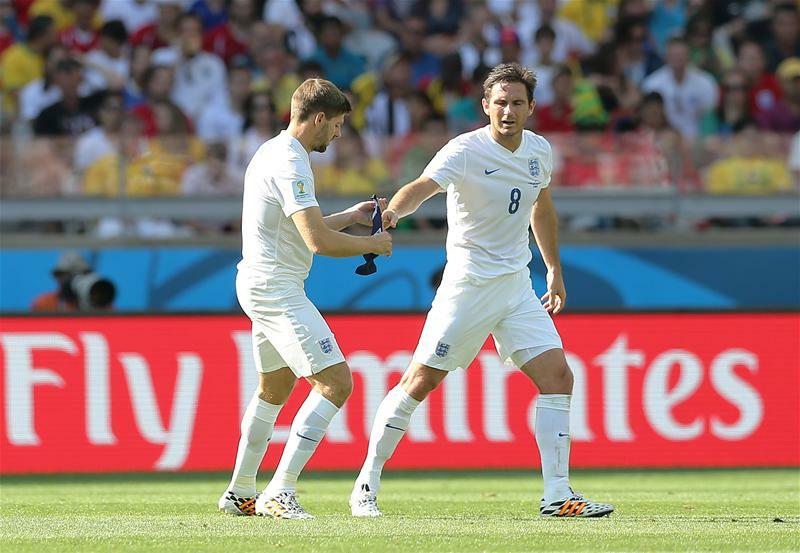 Gerrard (l) and Lampard (r) quit the national side in 2014 following a tumultuous string of results in Brazil. Central roles in the “new" England side have been offered to Raheem Sterling - another member of the 2014 squad - Tottenham's free-scoring Harry Kane and Everton's creative attacking midﬁelder Ross Barkley. Injury problems have denied more consistent roles to Liverpool's Jordan Henderson and Daniel Sturridqe, as well as to Arsenal's Theo Walcott, Danny Welbeck and Jack Wilshere. Welbeck scored both goals as England opened their qualifying campaign with a 2-0 win away to Switzerland in Basel. He was on the scoresheet again in the subsequent 5-0 victory over San Marino and England continued in a similar vein, winning every one of their ten matches, scoring 31 goals and conceding only three. The return victory over San Marino, by 6-0 in Serravalle on 5 September, saw England become the ﬁrst team to qualify to join hosts France in the ﬁnals - with three games still to play. Rooney opened the scoring from a penalty to equal Sir Bobby Charlton's long-time national record of 49 goals for England. Manchester United's current England hero then made the record his own with goal No.50 next time out against Switzerland. He finished as the group's seven-goal leading goalscorer. Hodgson's focus turned then to preparing for the challenge in France and managing expectations about the prospects for his redeveloping team. The England side that beat Euro 2016 France hosts 2-0 at Wembley last November included six players under the age of 23. “I do believe we will have the organisation, the discipline and the desire," said Hodgson. “we are young, we are inexperienced and nothing is going to change that. But I'm optimistic. positive and hopeful. This group of players won't let anyone down in terms of their attitude and desire." It's a puzzling mix of high and low expectations for this blooming England side, as many are tipping the players to do well on the national stage, while sceptics still remain hesitant to get excited about The Three Lions' chances this summer. 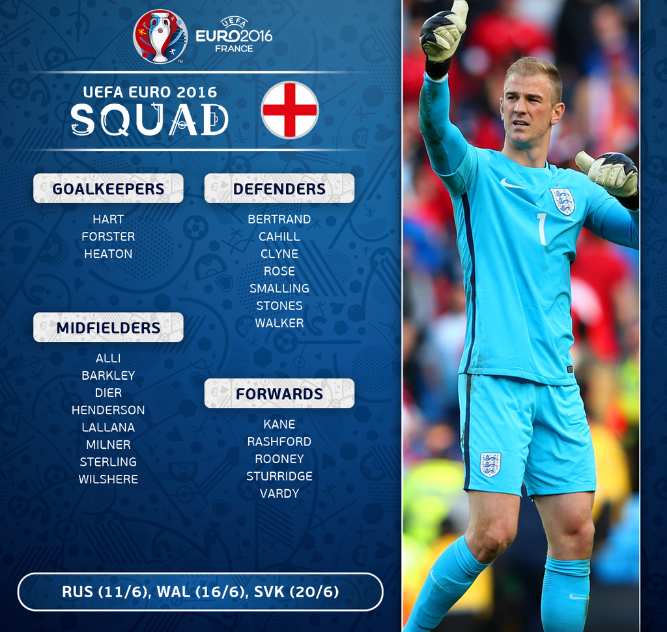 I think England win their group and cruise to the quarter finals, but the lack of experience in the side will cost Hodgson's boys. 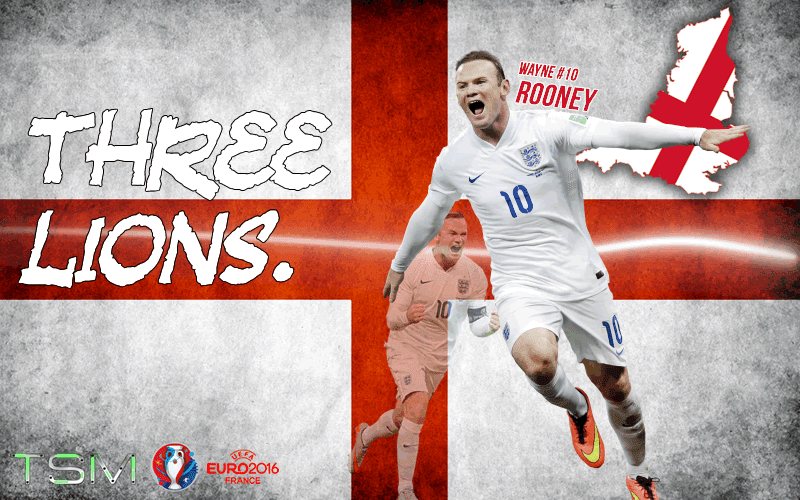 Euro 2016 Preview Series: England.